Pan-frying broccoli brings out the vegetable’s natural sweetness while retaining its pleasing, crunchy texture. 1. Cut the stems off the broccoli just below the florets. Use a paring knife to remove any tough skin. Cut the peeled stems into 1-inch-thick coins. Separate the broccoli heads into spears; try to cut them so that each one has at least one long side that will lie flat in the pan. 2. Heat a large sauté pan over medium heat. Add 3 tbsp of olive oil and then add the broccoli. Increase the heat to high, and cook, stirring, for 2-3 minutes until the broccoli is bright green and slightly tender. (It is important not to crowd the pan, or the broccoli will steam rather than brown. It’s fine to do this in two batches or to use two pans if necessary; use 2 tbsp oil per batch.) Season the broccoli with salt and pepper. 4. Meanwhile, in a small bowl, combine the honey and lime juice. When the broccoli is cooked, pour the honey mixture over and toss to coat. Serve hot. You can also oven-roast the broccoli. Preheat the oven to 230°C/R8. 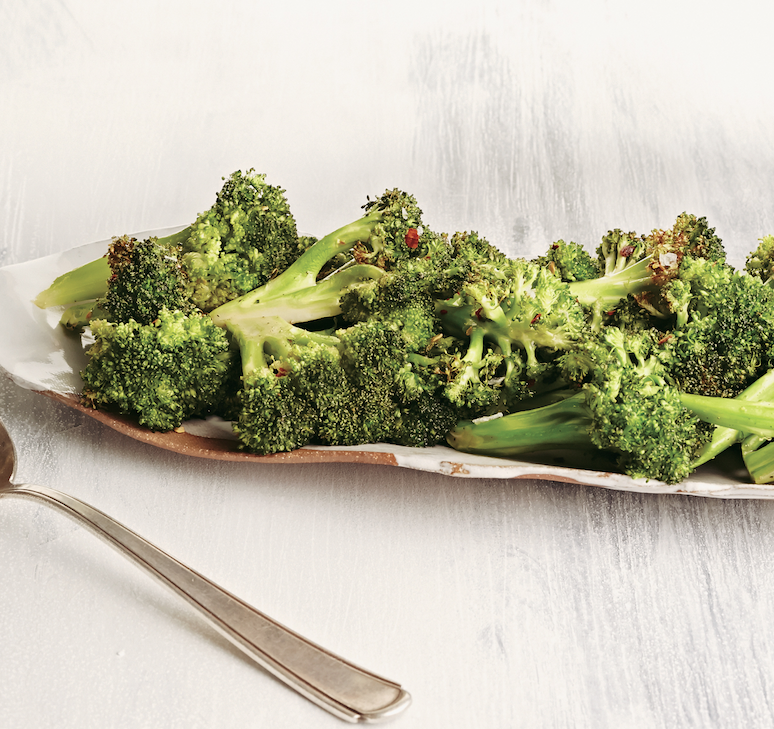 Toss the broccoli with the olive oil, chili flakes, and season with salt and pepper them spread across a single layer on one or two rimmed baking sheets. Roast for 10-15 minutes until crisp, tender and lightly browned in spots. Remove from the oven, toss with the honey and lime juice and serve. Recipe and image courtesy of Flavorwalla by Floyd Cardoz (Artisan, £20). Copyright © 2016.